Performance of Computer follows the same physical definition – the amount of work done per unit of time and is colloquially synonymous with speed or quickness. In terms of how fast, it means how long it takes the computer system for executing a job, such as response to a mouse click. In this article we will go in to details on Performance of Computer. Component power refers to the performance of a single component of a computer system, for example the processor , the main memory or the network connection. Performance of Computer of a complete computer system is referred to, which may consist of a plurality of components. Corresponding parts of computer systems of whose Performance of Computer is referred here includes individual software components ( application software and operating system), computer (eg file servers ), computer networks (for example, computer clusters) or special equipment (like switches). Furthermore, Performance of Computer depends on how efficiently the algorithms are implemented and how the hardware and software configuration is. There are a large number of parameters, which are used for evaluation of Performance of Computer. In many cases, these figures say little about the actual Performance of Computer System. Instructions per cycle (IPC) : Average number of instructions executed divided by the number of clock cycles required for execution of the program. Instructions per second : A component output size, which has been used in order to characterize the performance of a processor is the (average) number of executable machine instructions per unit of time. Floating Point Operations Per Second : The performance of floating point operations per second size is especially for supercomputers. Data transfer rate : The data transmission rate is the total amount of data (user data and control data) per unit time, which can be transmitted. 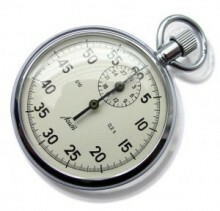 Response time : Response time is the time between sending a request and receiving the associated response. Response ratio : Ratio of processing time for response time. Frames per second : Frames per second is a measure of performance of graphics cards used for the number of output images per second. Processor clock speed : Factors such as processor architecture, number of cores, speed of the internal buses, memory (cache and main memory) and others affect the performance significantly. Latency : This is another term for response time (order processing time after an interruption) with the constraint that a certain upper limit is not exceeded. It is the guaranteed maximum response time. In future articles, we will discuss about Measurement of Performance of Computer. This Article Has Been Shared 8919 Times! Cite this article as: Abhishek Ghosh, "Performance of Computer : What it Actually Means," in The Customize Windows, May 3, 2012, April 25, 2019, https://thecustomizewindows.com/2012/05/performance-of-computer-what-it-actually-means/.